T’Challa’s world is getting a little bit bigger at Marvel Comics. Off of the back of Ta-Nehisi Coates’ sublime Black Panther comic, Marvel has just announced a new supplementary series that will delve into the lives of important supporting characters in the main series—and like Black Panther, it’s attracting serious talent. 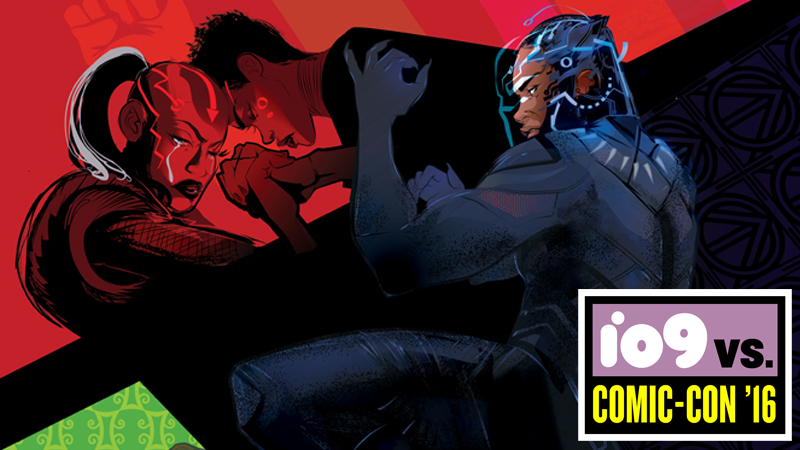 Announced during Diamond Comic’s panel today, Black Panther: World of Wakanda’s first arc will be written by Bad Feminist and An Untamed State author Roxane Gay, and co-written by Coates, with art by Alitha Martinez. A new writer will take over with every arc, as each one focuses on a different character or set of characters important to the ongoing storyline in the main Black Panther series. Gay’s arc will focus on Ayo and Aneka, the two ex-Dora Milaje lovers who have abandoned their oath to Black Panther and gone rogue, operating in experimental Wakandan power suits as the Midnight Angels. The storyline will be set before the events if Black Panther #1, and follow Ayo and Aneka as their relationship blossoms and they slowly become disillusioned with T’Challa’s rule. On top of that, the first issue will feature a 10-page backup story by Coates and Yona Harvey, with art by Afua Richardson, focusing on Zenzi, the mysterious woman in Black Panther attempting to mystically turn the citizens of Wakanda against T’Challa. It’s awesome to see Marvel throwing their weight behind Black Panther with a supplementary series like this—getting the chance to explore the ins and outs of the Wakanda Coates, Stelfreeze, and Martin are setting up in Black Panther even further is well worth adding another comic to our pull lists, especially if it’s attracting equally amazing talent to the main book. No release window was revealed for Black Panther: World of Wakanda, but hopefully it’ll be coming soon.